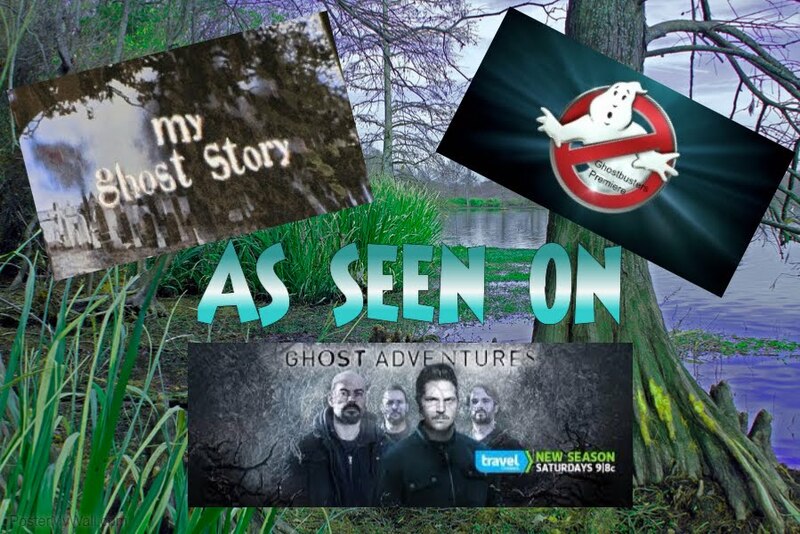 Becky Vickers(BECKS) - Everyday Ghost Hunters/Goatman's Bridge Ghost Tours: Jefferson, Texas-IT REALLY IS HAUNTED!!!!!!!!!!!!!!! Jefferson, Texas-IT REALLY IS HAUNTED!!!!!!!!!!!!!!! Jefferson Texas....I never really understood the lure to this little town even though for years I have heard it was haunted. What can I say now????? HECK, YES IT'S HAUNTED!!!!!! First, besides it's obvious charm of time standing still, it is a little town where the hometown people greet visitors like guest a country dinner. And yes, they are VERY used to people talking about ghosts. I love it! This little town has it all....small town charm, Mom and Pop restaurant's, unique little gift shops, local train ride, local bars for an adult beverage....any my FAVORITE part.....it has tons of places to ghost hunt!!!! This place became very quickly one of my new favorite places to go. So, here goes my attempt to shorten soooooo many paranormal events down into just a few. We signed up for a tour of the Grove. Now, I don't claim to be a "sensitive" or anything like that, but sometimes, I do FEEL like things are with us or around us and I can honestly say that at the Grove... I felt nothing. I wanted to...I kept hoping to run into a cold spot, or hear something or even see something, but nothing. For me, this was just another cute little house. 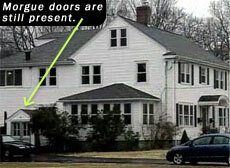 But according to the current owner, it is filled with paranormal activity. As we walked through the house, Deak (my boyfriend)was taking pictures for me as I was using a different type of camera and taking pictures myself. JUST WAIT TILL YOU SEE WHAT HE CAUGHT!!! The current owner, Mitchell Whitington, was telling us about a particular corner of the house in the formal living area that seems to have the most activity in the house and is believed to be the spirit of Minervia Fox(Stilley), the wife of the original owner Mr. Frank Stilley. Mrs. Stilley passed away in 1879, and shortly after, Mr. Stilley sold the place due to some financial struggles and moved away from Jefferson. I guess Mrs. Stilley decided she would just stay right here in Jefferson. Mrs. Stilley looking slightly down in a white dress with dark hair. Ok, back to her photo. As we were finishing up our tour, we passed an open area where the trees where in the back of a lot and it looked to have a creek bed at the very back. Our tour guide told us that many people believe there is a Portal (a place where the dead and come in and out of the real/now world). Well, look at Rhonda's photo and you tell me....Yes? No? Maybe? And before you even ask....no, there was no one smoking around us and no fog... it was a beautiful Texas night.